I’m sad to say the story is almost over! Join us on monday for the finale…and tuesday for the debut of the official book trailer! 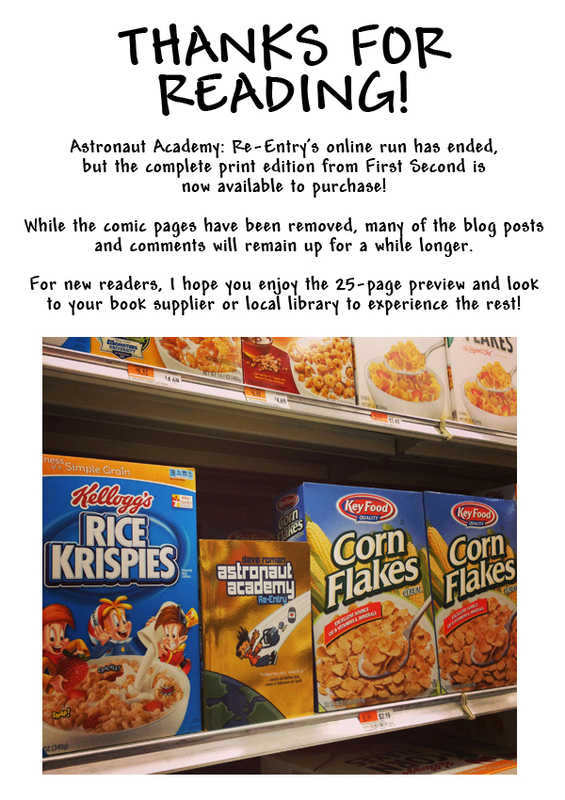 Help Astronaut Academy go out in style by recommending to your friends to check out the webcomic while it’s still up and totally free to read! I have to take 90% of the comic down after the book comes out on May 14th, so nows the time to share the love! And don’t forget you can win cool prizes if you spread the word using the hashtag #aaday or #astronautacademyday on Twitter, Tumblr or Facebook! Hoorain! This reminds me of when they shoot t-shirts into the crowds, except hearts instead!